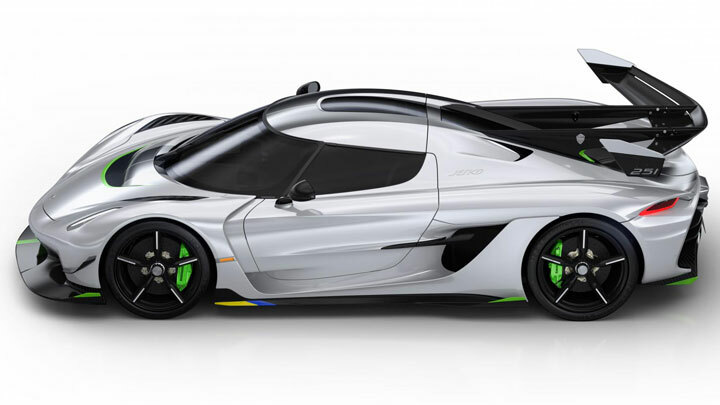 Just when you thought the Hennessey Venom F5 or Bugatti Chiron was on course to top 300mph (483kph) first, Koenigsegg once again reminds us that nobody does speed like the Swedes. 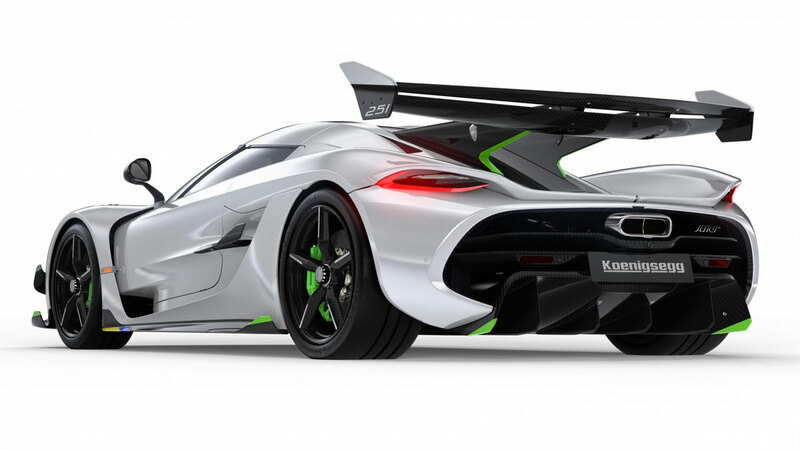 Okay, they haven’t cracked it yet, but according to the boss, Christian von Koenigsegg, his all-new Jesko hypercar is capable of over 300mph in simulations (the current production record-holder, the Agera RS, hit an average of 277mph in 2017), albeit in a lower downforce set-up than you see here. They would still need to find somewhere to do it, someone mad enough to drive it, and a tire manufacturer to back an attempt…but the science says it’s possible. Before the details, the name. Jesko is Christian’s father, the man who helped him set up a supercar company when he was a poor 22-year old with a dream, and has supported him every step of the way. Now 80 years old, this is Christian’s way of thanking him. It certainly beats chocolates and a card. 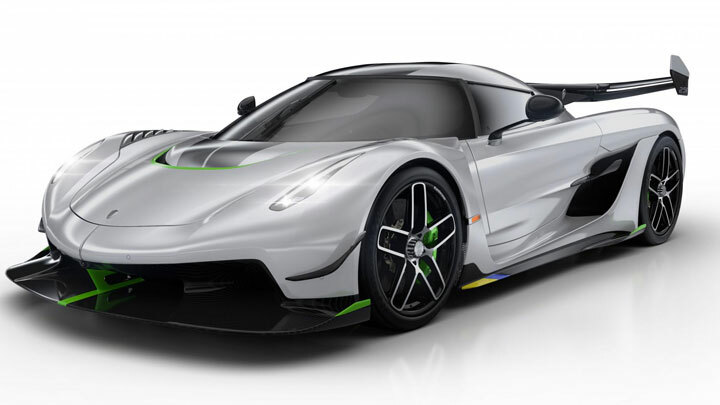 Better still, the name was kept a secret from Jesko until the car’s unveil at the Geneva show. Christian even had his PR team work up a fake press release to placate his dad, who was desperate to know all the details. Sounds like our kind of guy. 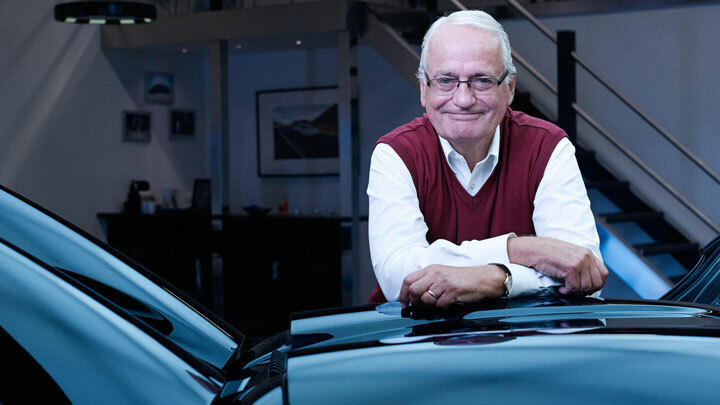 Let’s start with the engine, a heavily modified version of the Agera’s 5.0-liter twin-turbo V8, now with a flat-plane crank shaft that’s 5kg lighter than the old 90 degree one, which allows it to rev to 8,500rpm and “changes the exhaust note quite a bit,” says Christian, modestly. Active rubber engine mounts from the Regera (the Agera RS engine was solid mounted) mean the extra vibrations from the flat crank are absorbed, while the two equally large turbos are supplemented by a 20L carbon tank (topped up by a small electric compressor) that fires jets of air into the turbos at 20 bar, to help them spool up and reduce lag. 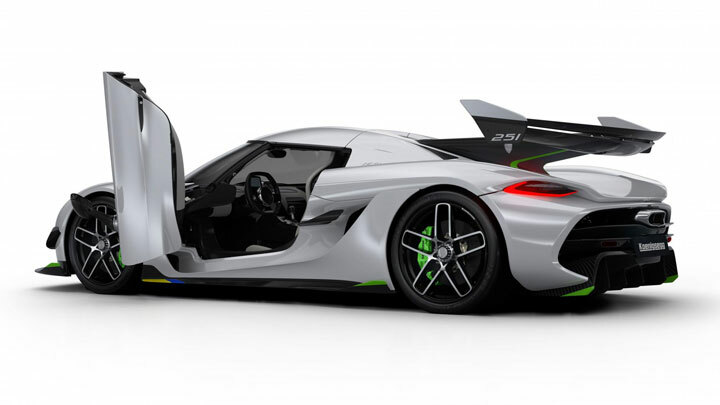 The result is 1,262hp running on 95 octane unleaded, and 1,578hp and 1,498Nm of torque if you fill it with E85 biofuel. You see, going green has its advantages. 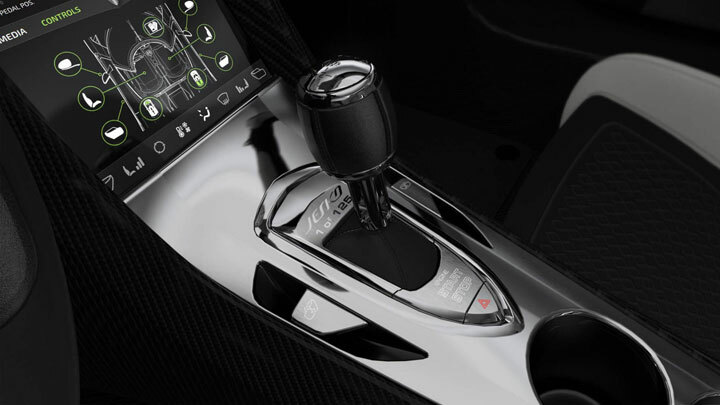 Pull the two-stage paddle half way and you’ll swap down one gear (shifts take 20 to 30 millseconds), pull it all the way and it’ll jump to the gear that offers the best acceleration at that time. Because, y’know, when you’re driving a Koenigsegg you need all the help you can get with overtakes. 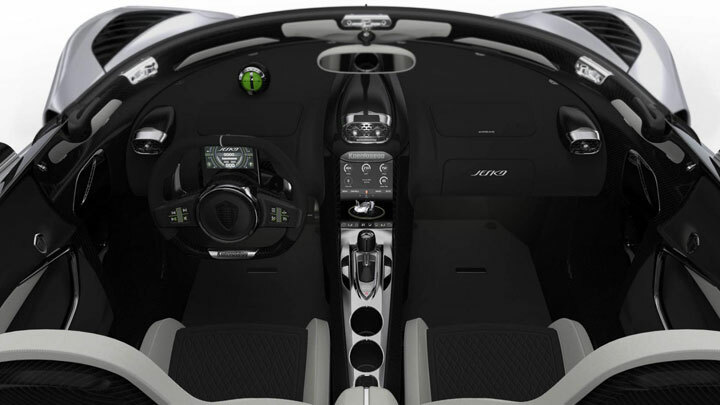 Koenigsegg’s evocative name for the system is UPOD—Ultimate Power on Demand. 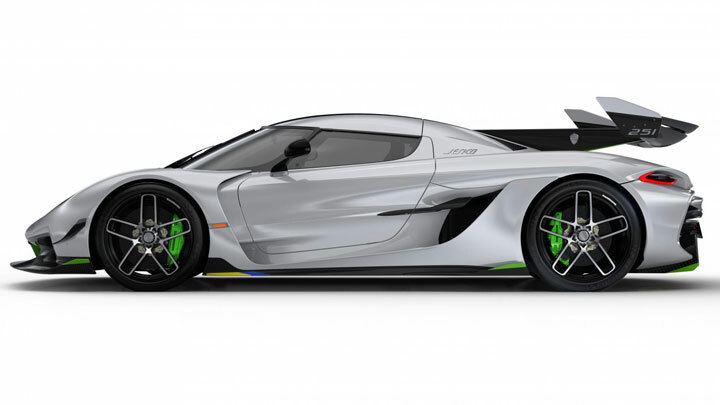 Unlike the Agera, which only had one at the back, the Jesko also gets a Triplex damper at the front (a socking great horizontal damper to prevent the car squatting under acceleration at the rear, and to keep it level under extreme downforce at the front) to compliment the more traditional Ohlins dampers. 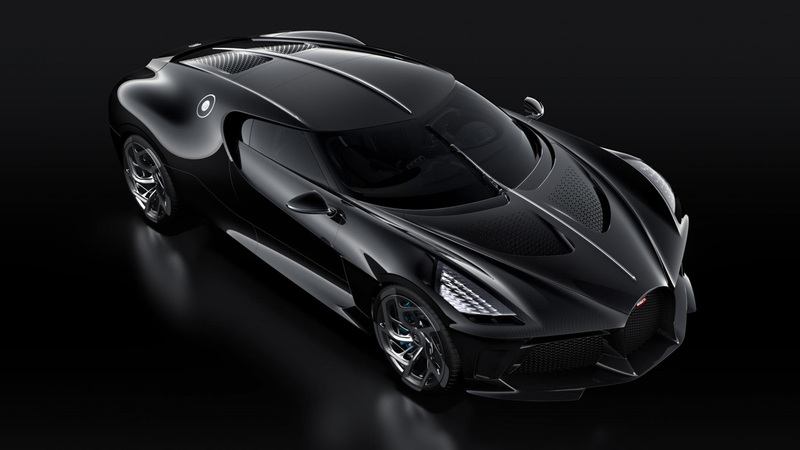 The carbon tub is now 40mm longer and 22mm higher than the Agera to create a bit more space inside, rear-wheel steering has been added, and it wears Koenisegg’s lightest ever carbon fiber wheels—21-inch and 7.7kg at the rear, 20-inch and 5.9kg at the front—fitted with Michelin Pilot Sport Cup 2s as standard and optional Cup 2 Rs. Each wheel is hand-made, in-house, and takes 40 hours to finish… probably why they cost $65,000 (P3.4 million) for a set. What next? Oh yes, downforce. It has some. Quite a lot actually. Thanks to that enormous front splitter and boomerang shaped, tilting rear wing, around 800kg of it at 250kph, 1,000kg at 275kph and 1,400kg at its undisclosed top speed. 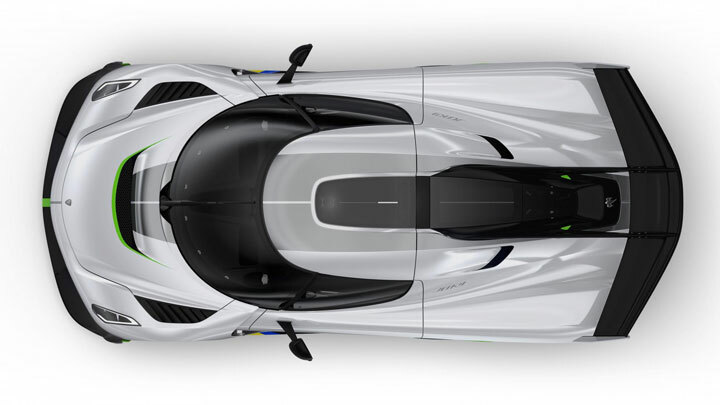 That’s around 30% more than the One:1, previously its highest downforce model. 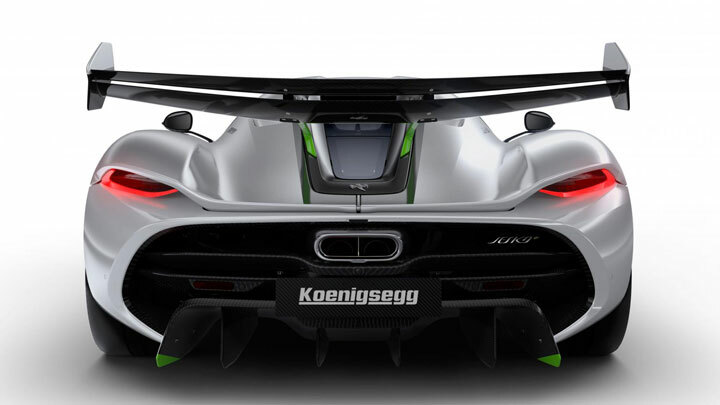 The whole car weighs a little over 1,400kg so no, it can’t drive on the ceiling—if it could you know Koenigsegg would give it a good go. The lower downforce version, that’s the one with 300mph potential, will still produce up to 500kg of downforce, we’re told. And a Jesko driver won’t be wanting for luxury. For maximum peacock mode the front hood, doors and rear clamshell can all be opened on hydraulic struts at the touch of a button, there’s climate control, an infotainment system with Apple CarPlay, USB sockets and wireless charging for your phone. New for the Jesko is a screen attached to the wheel that displays all relevant information, but when rotated the digital dial stays upright—much like the wheel center caps on a Rolls-Royce. 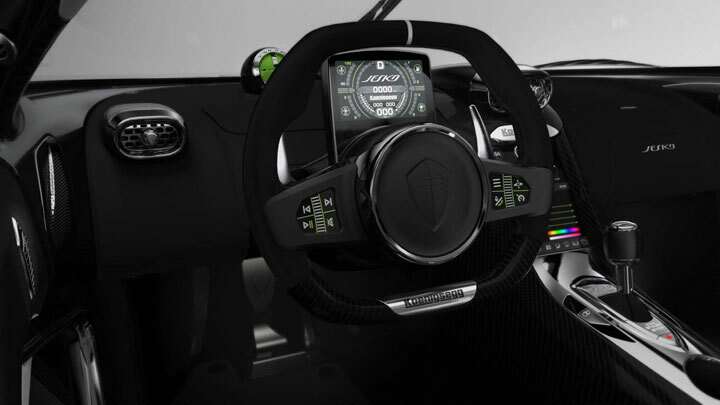 That’s not the only Koenigsegg quirk, either: An optional analog G-Force meter perches on top of the dash, behind the wheel. This time next year we’ll see another new model—a joint venture with electric car specialists NEVS. A hybrid built in larger numbers (think 100s) at a lower price (around $1m). What form that car will take we’ll have to wait and see, but we’re told to expect something entirely different. A crossover? Perhaps. 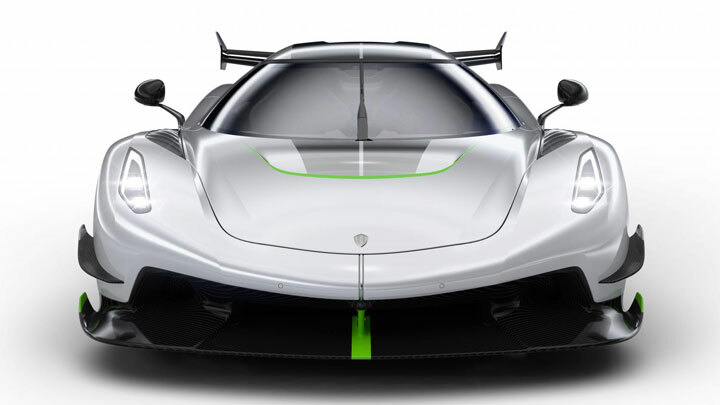 Either way, it’s looking like the Jesko will be Koenigsegg’s last purely combustion-powered car. What a way to bow out.